News about this Supreme Court judgment have started appearing in many newspapers with the headlines which like “forcing husband to separate from his parents” or “forcing Hindu son to separate from parents” amounts to cruelty, and so on. As it happens, news headlines may a time don’t reflect the full picture of logic inside a judgment, and sometimes news reports may even highlight a secondary part of the judgment as the main reason when in fact the judgment was based mainly on other factors. This site contains very few judgments on topic of divorce, and the reasons are explained in detail in this and this post. The reason of covering this judgment here are that people shouldn’t get complacent that one judgment (though important one given that it’s by SC) about separating-husband’s-parents-is-cruelty can get them divorce. That is so because wife trying to separate husband’s parents is almost a 100% phenomenon reported to men’s rights activists by ‘victim’ husbands, and more details can be read on this site’s comments by readers, as well as in this mega-post. If husbands could get divorce based on that fact, then many would have gotten it, rather than running around in courts handling multiple cases. In fact, all the so called counsellors at CAW cell, various mahila-thana and allied entities, and mediators in courts routinely consider the separating parents from husband to be a very reasonable and almost desirable demand on behalf of wife, and won’t bat an eyelid before asking husband: “Why can’t you take a separate house”, or “you have to satisfy your wife’s demands as part of compromise”. Once a husband agrees to living separately from parents, raising this issue as part of divorce petition won’t help or will be an uphill task to prove cruelty. This logic almost missed by many people, and lawyers don’t inform about it either. The problem is that any action in matrimonial case by either party can be taken to be an act of condoning or acceptance, and so once a husband starts living separately from his parents to satisfy wife, it may get taken to be a sign of acceptance that there were some problems in household because of everyone under the same roof. Whether it was wife’s fault or not has to be proven based on evidence, and evidence is another thing that most husbands don’t bother to collect or keep. Rather than covering divorce judgments on this site, I instead wrote a whole book on topic of divorce (for men), because guiding on divorce has moral issues, turns out to be personalized baby-sitting rather than social work, and moreover I doubt there is any easy way to understand about this complex topic based on reading few news reports or even 1-2 judgments. Even if a husband has been going through extreme forms of cruelty at the hands of wife — not understanding basics of law, importance of evidence, importance of preparing detailed filings, the psychology of family court judges, lawyers, mediators etc makes the chance of getting a divorce by husband very remote. Lack of patience is another problem and because of these reasons most of the husbands are steered easily towards the C-word based settlement by the divorce lawyers and mediators. In the divorce book, many judgments are there where divorce to husband has been granted based on any or combination of these: wife’s suicide threats, false criminal cases/complaints filed on husband (proven false and malicious), and false allegations of adultery on husband. There is already another judgment by Mumbai HC on this site which has allowed divorce to husband considering wife’s demand to live separately from husband’s parents to be cruelty. I have already covered important points in that post like duration of running divorce case, before divorce gets granted to any party. Same seems to be the case in this judgment too, grant of divorce after spending many years in courts. Another thing seen in matrimonial cases is like this: family court makes one judgment, high court reverses it completely, and then supreme court reverses high court’s order and holds family court’s judgment to be right. Can’t say whether this is influenced by have-to-grant-relief-by-exercising-my-court’s-powers belief in mind of judges, but there is a suspicion that this is a subconscious reason behind such judgments. Below are the 3 main reasons based on which both family court, Bangalore and SC deemed that it was mental cruelty on husband. 1. Suicide attempt by wife itself was seen as reason enough to be deemed mental cruelty on its own. 2. Wife asking husband not to spend any money on his parents and trying to separate him from parents was additional reason. 3. Wife’s false allegations on husband of extra-marital affair with maid was deemed as third reason. To my knowledge, reasons 1 and 3 are often found in divorce decrees granted in favour of husbands, while reason 2 is not seen that often except in few like Mumbai HC judgment linked earlier. Let’s consider a salient part of judgment which in fact is just the opposite of what is seen in CAW cell, mediations, counselling, panchayats, samaj ki baithak these days. In those instances, it’s almost always pressure is put on husband to take a separate house, if wife demands it and is able to make some allegations on his parents. No one knows the truth behind wife’s allegations, husband doesn’t have evidence in his favour (and doesn’t care to collect either most of the time), and so the decision is made to satisfy the wife’s demand and take a separate house. Maybe in this case, wife did not make those allegations and did not make use of ‘women-empowerment’ and divorce-negotiation laws like Domestic Violence Act which did not exist at the time the cases were filed. As stated hereinabove, in a Hindu society, it is a pious obligation of the son to maintain the parents. If a wife makes an attempt to deviate from the normal practice and normal custom of the society, she must have some justifiable reason for that and in this case, we do not find any justifiable reason, except monetary consideration of the Respondent wife. In our opinion, normally, no husband would tolerate this and no son would like to be separated from his old parents and other family members, who are also dependent upon his income. The persistent effort of the Respondent wife to constrain the Appellant to be separated from the family would be torturous for the husband and in our opinion, the trial Court was right when it came to the conclusion that this constitutes an act of ‘cruelty’. In this case, most probably the husband did not flinch from his obligations to parents, and had he done so he would not have been able to use this as a ground. 1. Given this judgment is by a Supreme Court bench, deeming the act to separate husband from parents as cruelty should carry weight from now onwards and it sets a precedent in whole of India. 2. One should always have evidence (that wife tried to separate parents) to prove one’s assertion, and in my opinion, taking a separate residence even once as per a compromise with wife will dilute severely the potency of using wife-tried-to-separate-me-from-parents as a mental cruelty ground later in a divorce petition. Since most husbands indeed start living separately as a compromise, their divorce petition later won’t be able to get much benefit from this judgment. 3. The usual point of having to spend many years in courts still stays. Don’t file divorce unless that seems a better option than the worst of all other options. This judgment will lead to more enquiries by hopeful husbands (and their parents) from divorce lawyers, but in the end proving mental cruelty is an uphill task. Disclaimer: I’m not a lawyer, and your divorce, just like your marriage, should be your own affair. Don’t enquire or call about how to get divorce. was having an extra-marital affair with a maid, named Kamla. considering the evidence adduced by both the parties. Court had heard the learned counsel appearing for the Appellant. to get separated from his family members and on 12th July, 1995 i.e. decree of divorce as per the provisions of Section 13(1)(ia) of the Act. Family Court i.e. the trial Court. Court did not give much importance to the false allegations made. High Court, the trial Court did not appreciate the evidence properly. re-appreciated the evidence and has come to a different conclusion. wife, especially when the son is the only earning member in the family. that this constitutes an act of ‘cruelty’. show that the Appellant had an extra-marital affair with someone. be a cause for metal cruelty. 13. This Court, in the case of Vijaykumar Ramchandra Bhate v.
behaviour of the Respondent wife appears to be terrifying and horrible. according to the learned counsel, she is working in an IT company. cruelly by the Respondent wife. Bangalore in M.C. No.603 of 1995 is hereby restored. For Appellant(s) Mr. H.K. Naik,Adv. My mother’s been dead and my wife is pestering me for the will and her gold and other possession and she is pestering me everyday and has been mentally harassing me and my dad to get the will done and have it given to her. She also has a horrible habit to be suspisicous about me for every move I make. If I get a phone call from a Bank, a collegue, an ex college mate she to know. If I have to even close my room for an office call/tele meeting, she has a doubt on me. That will have to be your own effort. My guess you have max 2-3 years before wife will go for the ‘kill’, or maybe she is already entered that phase now that kid has grown to 5 years. 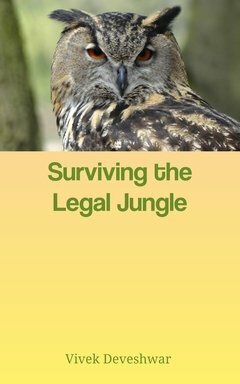 Read the free eBook on child custody. Happy to find a flavor of Hinduism in the Hindu Marriage Act.